Dermalogica HydraBlur Primer Review (2018): Is It Worth Buying? Dermalogica HydraBlur Primer Moisturizer Review : Ingredients, Side Effects, Detailed Review And More. What Is Dermalogica HydraBlur Primer? This product has been manufactured by Dermalogica. As per manufacturer claims Dermalogica HydraBlur Primer refers to a moisturizing product which is well known to improve the appearance of wrinkles and fine lines for a smooth skin. It is responsible in mattifying oily shine as well as ensuring that you achieve silky smooth finish. However, some users were not satisfied and expressed that it did not have a remarkable difference on their skin. It hydrates your skin making it look supple and soft throughout the day. The customers’ reviews reveal that this product works well for most people. This skin care formula is purchased through online and it costs $48.00 only. Dermalogica HydraBlur Primer- Does It Really Work? Dermalogica HydraBlur Primer is responsible in combating aging signs for a smooth and youthful skin. This product has been formulated using ingredients which work well for desired results. It is known to be lightweight and non greasy formula. It helps in transforming your skin through blurring the look of wrinkles and fine line on your skin. It is meant to mattify your oily skin and help you realize a shiny finish. It provides light neutral coverage when you apply it on your skin. Regular use as per the given instructions leads to desired results. What Are The Ingredients In Dermalogica Hydrablur Primer? Mushroom extract – It helps in reducing your skin’s pore and its appearance. Whu-Zhu-Yu fruit extract – It is responsible in enhancing the radiance of your skin. Abyssinian oil and H2ORelease complex – They provide strong and sustained release moisturization which locks the required levels of hydration. Water – Used as a solvent. Silica – Helps you keep a healthy skin and fight against wrinkles for a smooth skin. Dimethicone – It forms hydrating barrier to prevent water loss. It is a skin protectant and conditioner, humectant. Forms a protective barrier on skin for extra protection. Acts as an anti-inflammatory. However, it can also increase skin irritation. Smooth and blend Dermalogica HydraBlur Primer over your entire face and throat after you apply prescribed Dermalogica Moisturizer. It gives you a flawless looking skin when you use it alone and you can also choose to use under your make up. It intensely hydrates your skin for a supple look. Improves the appearance of wrinkles and fine lines for smooth skin but ingredients used may cause skin irritation. 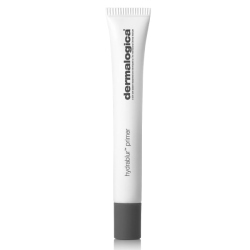 Dermalogica HydraBlur Primer is known to provide light and neutral coverage for long lasting make-up wear. It is sold through online. The customers’ reviews are limited. There is less discussion on its ingredients. The combination of active ingredients is weak. Does Dermalogica Hydrablur Primer Have Any Side-Effects? Dermalogica HydraBlur Primer side-effects have not been provided in the website by the manufacturer. However, there is less information on its ingredients and you should research on them to find out any possible side effects linked to them. Dermalogica HydraBlur Primer refers to a formula, which is meant to help improve the appearance of wrinkles and fine lines for smooth skin. It is helpful in moisturizing deeply your skin to ensure that you realize a supple skin. Dermalogica HydraBlur Primer works well to even when used alone as it gives you flawless skin. However, the reviews available for this formula are limited and you cannot rely on them to make final decision. Therefore, you should research more on them and determine if they work well for desired results without causing adverse effects on you before you commit your money to purchasing it.